TP Mazembe held Simba SC to a 0-0 draw in the first leg of their CAF Champions League quarterfinal, played at the National Stadium in Dar es Salaam on Saturday afternoon. Despite the blank score line, both teams offered plenty in attack and the woodwork was hit at either end of the field, while the hosts also wasted a spot kick. The early minutes of the game featured a booking for TP Mazembe attacker Jackson Muleka, who was cautioned for diving in the penalty area, while Simba suffered an early injury blow which forced then to replace Pascal Wawa with Murushid Juuko. The visitors had a good opening just before the midway point of the first half when Muleka set up Tresor Mputu, who sent an effort over the crossbar, while on the half hour mark Simba were achingly close to claiming the lead, as Meddie Kagere saw his shot come back off the woodwork. The Ravens reacted to the close shave with a good chance of their own, as Joseph Ochaya sent a long-range throw-in toward the danger area, resulting in a blocked shot for Abdoulaye Sissoko – this proved to be the last attacking highlight of a goalless first 45 minutes. Simba blew a glorious chance to claim the lead 10 minutes after the restart, with John Bocco one-one-one with the goalkeeper but unable to get the better of Sylvain Gbohouo, who gratefully smothered the ball to relieve the danger. Bocco then earned a debatable penalty for the hosts after his cross hit the hand of Christian Kouame, but the Simba attacker struck the spot kick over the crossbar to waste yet another great scoring opportunity. Mazembe recovered well from the scare and had the better of what remained of the game, even coming close to a late goal when Glody Likonza set up Muleka to strike the woodwork, but the final whistle saw the teams locked at 0-0. The return game will be played at Stade TP Mazembe in Lubumbashi next Saturday afternoon. Sundowns, Wydad, Mazembe and Esperance into final four. The focus is on Cairo, where Al Ahly face Mamelodi Sundowns. Mamelodi Sundowns beat record eight-time champions 5-0 in Atteridgeville. CAF Champions League quarterfinal line-up is complete. Six quarterfinal berths still up for grabs. Nine goals in Friday’s Champions League action. Sundowns boss saw his team draw 0-0 with ASEC. Just six goals scored in seven matches across the continent. We look at Tuesday’s Matchday 4 fixtures. Sundowns eye successive Champions League wins. Zimbabwean champions eye Horoya scalp. Teams drew 0-0 in their first meeting in Soweto. Africain are wounded after losing 8-0 away. Simba are eyeing their second Group D victory. DRC giants put eight past Club Africain. South Africans fire blanks against Tunisian giants. Al Ahly hand out 5-0 beating in Champions League. Algerians hold the Black Dolphins 2-2. Congolese giants hit eight past Tunisians. Result sees Nigerians remain at the foot of the table. Emiliano Tade scores on debut in Sundowns win. Soweto giants looking to humble Tunisians. 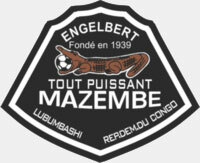 Mazembe will be targeting a win in DRC. Tanzania’s Simba to face Red Devils in Alexandria. Algeria’s JS Saoura head to Kinshasa. South African champions out to break losing streak. Lobi eye back-to-back home wins. SA giants on the board in Group A of the Champions League. 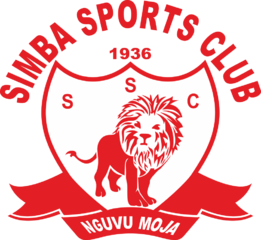 AS Vita Club thumped Simba SC 5-0. Al Ahly grabbed a late equalizer in Algeria. Simba to fight Dolphins in Kinshasa. Egypt’s Ismaily suffered their second defeat in the Champions League. Pirates secure first Group B victory in Orlando. Esperance picked up their first Champions League win. North African duo battle in Ismailia. ASEC are looking to avoid another defeat. Bucs are targeting first Group B win. Algerian upstarts look for major scalp on Saturday. The Eagles are seeking maiden victory. Sundowns host Wydad in meeting of 2016 and 2017 champions. Wrapping up Saturday’s CAF club action across the African continent. Goals from Maher and Maaloul see Ahly past 10-man visitors. Two goals from Meddie Kagere sent Saoura packing.